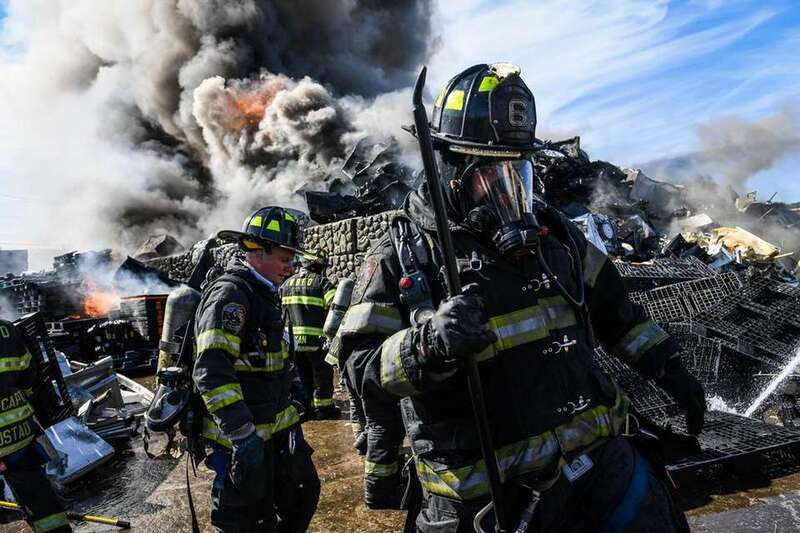 Newsday photographers and videographers won 20 awards for photography and multimedia in the 2019 New York Press Photographers Association's 84th annual photography and multimedia contest. 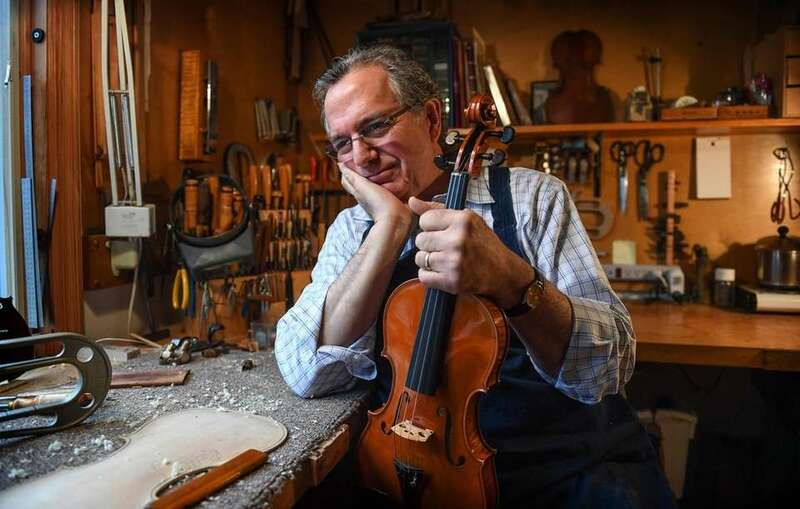 These winning images and multimedia projects were among 1,700 entries judged at Craig Newmark Graduate School of Journalism at the City University of New York.which gave out 123 awards March 1-3. The New York Press Photographers Association dates back to 1913. The organization has more than 275 active members. Volunteer firefighters from the West Babylon Fire Department extinguish a fire at Gershow Recycling in Lindenhurst on Sept. 27, 2018. 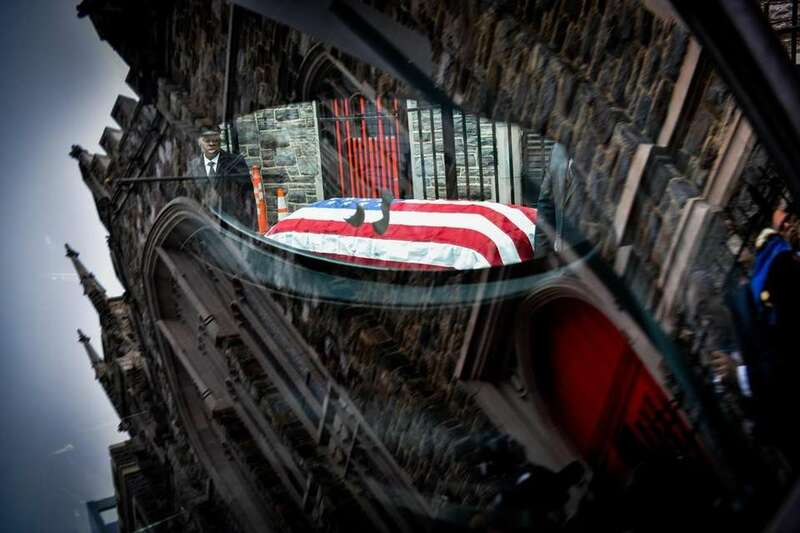 The Abyssinian Baptist Church in Harlem is reflected in the window of the hearse carrying the coffin of Les Payne, 76, Pulitzer Prize-winning reporter, columnist and editor for NewsdayPulitzer Prize-winning journalist and columnist Les Payne, 76, after his funeral on March 27, 2018. Payne championed racial equality and investigated injustice from Long Island to South Africa for almost 40 years. 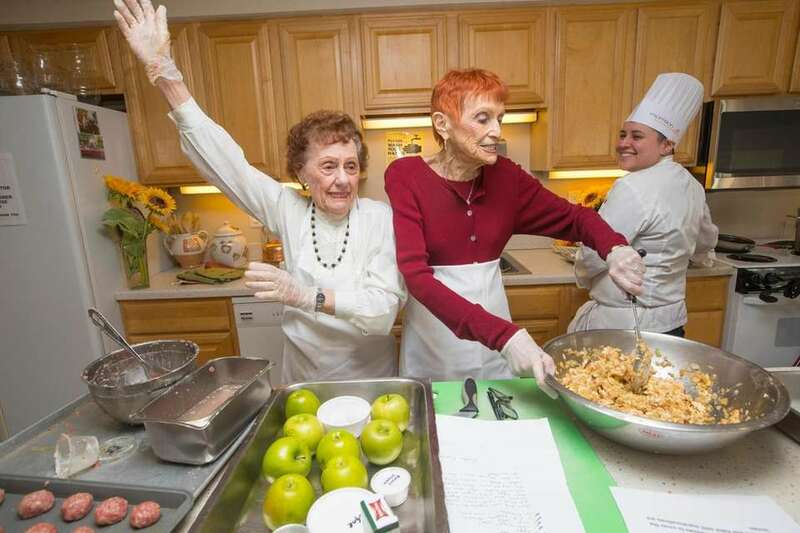 Esther Kaplan, 94, left, Anita Schoenbart, 86, both residents at Gurwin Jewish-Fay J. Lindner Residences in Commack, cook their traditional Passover recipes on March 19, 2018, with help from chef Corinne Ramos. 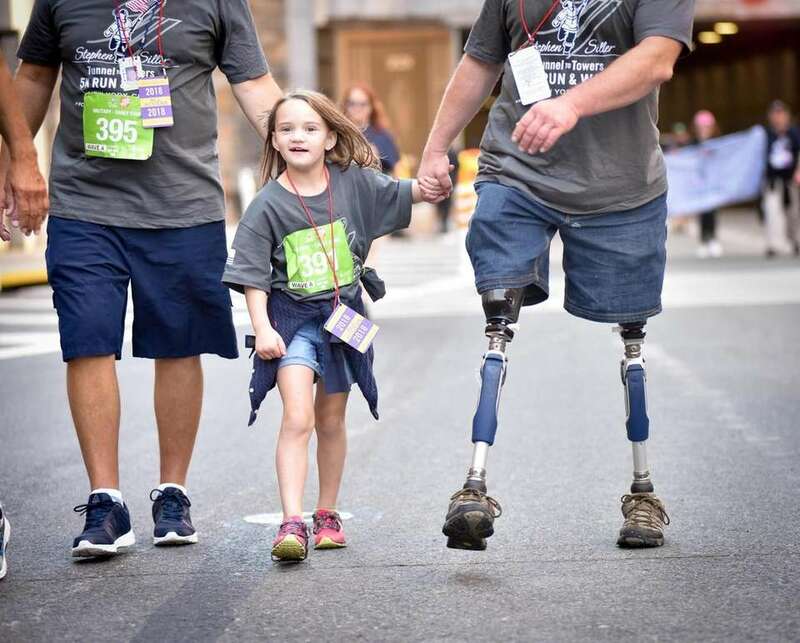 Thousands participate in the 2018 Tunnel to Towers Run, which retraces the steps of Stephen Siller, an FDNY firefighter who ran through the Brooklyn-Battery Tunnel to help others on 9/11. Aliza Janae Desouza, 9, and Chelsey Segura, 10, both of the Bronx, take swim classes at Mapes Pool in the Bronx on July 18, 2018. 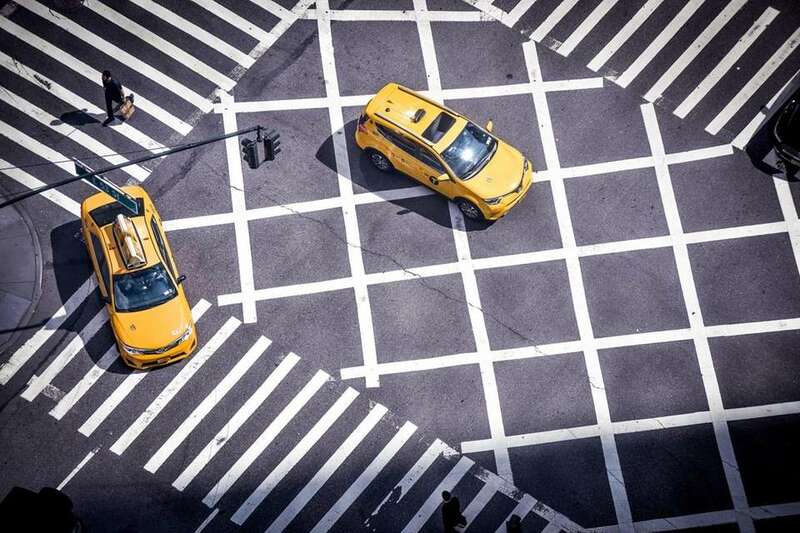 Colorful taxis in a checkerboard intersection. 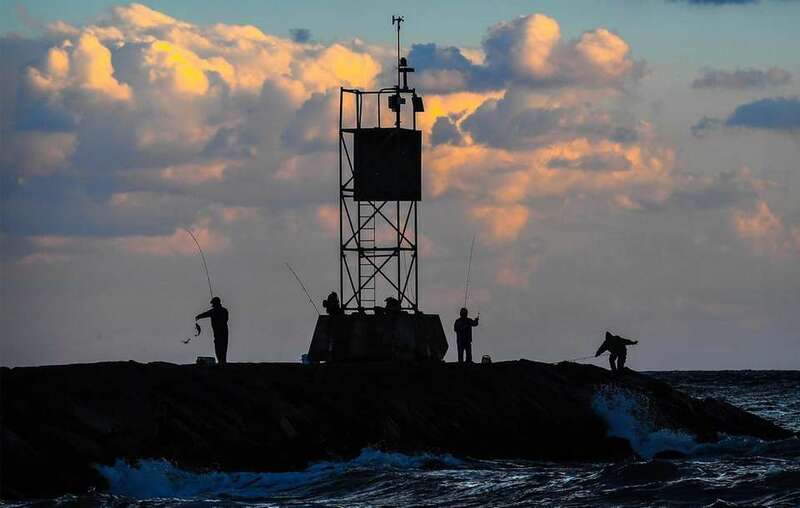 Fisherman gather at dusk to test their skills at the Shinnecock Inlet in Hampton Bays on the afternoon Oct. 17, 2018. 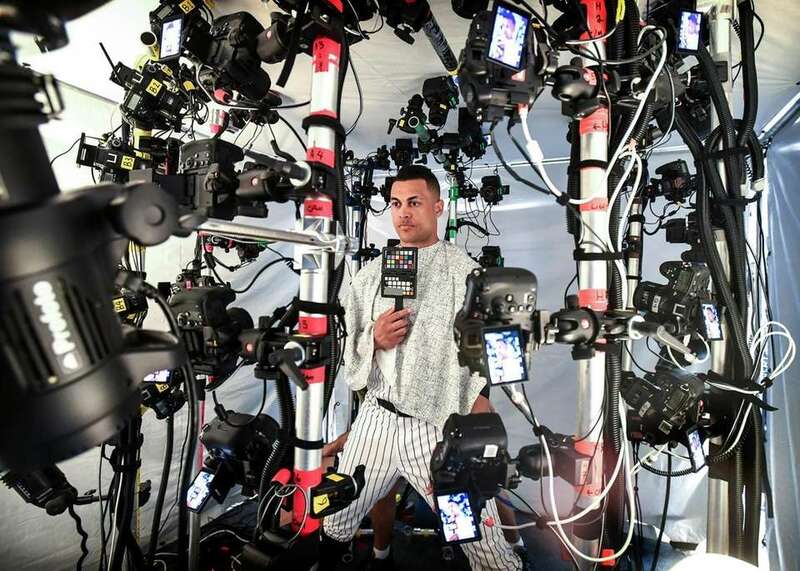 New York Yankee Giancarlo Stanton gets digitally scanned for the video game "MLB The Show" during Spring Training Photo Day at George M. Steinbrenner Field on Feb. 21, 2018. 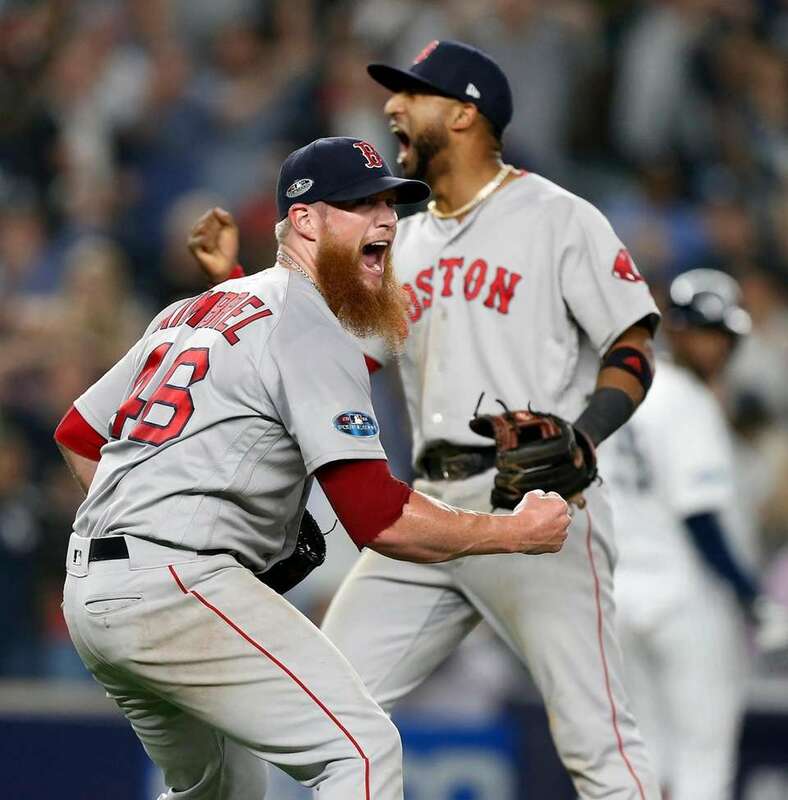 Craig Kimbrel #46 and Eduardo Nunez #36 of the Boston Red Sox celebrate after defeating the New York Yankees in Game 4 of the ALDS at Yankee Stadium on Oct. 9, 2018. 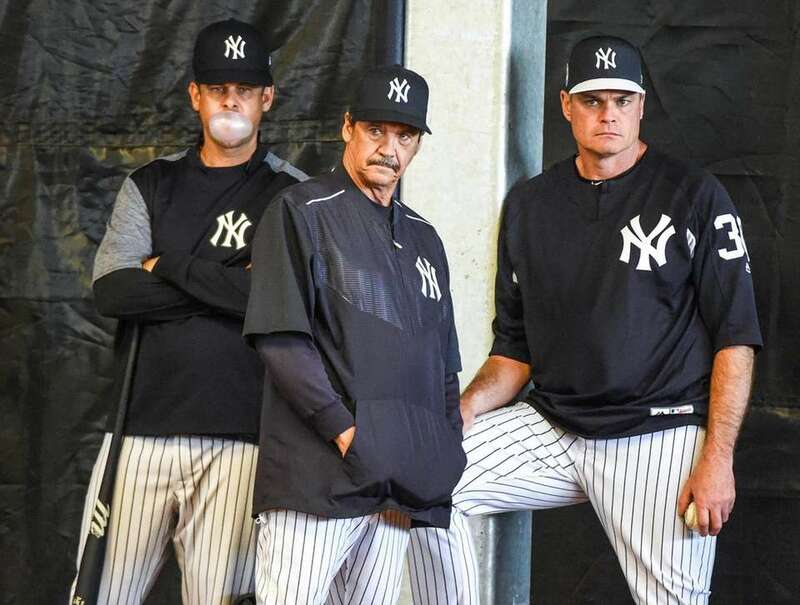 New York Yankees Manager Aaron Boone, guest instructor Ron Guidrey and Minor League Pitching coordinator Scott Aldred watch during Bullpen sessions on day three of Spring Training at George M. Steinbrenner Field in Tampa, Florida, on Feb. 15, 2018. 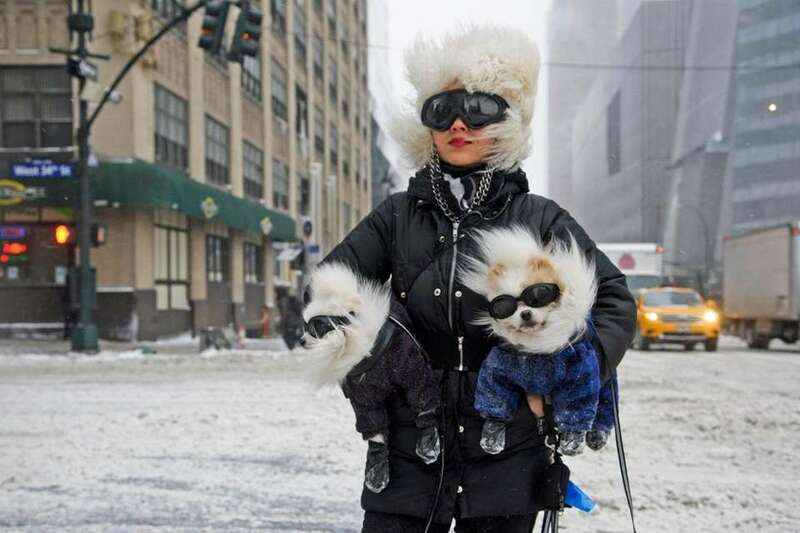 Chong Cha walks with her Pomeranians, Zuzu, left, and Zunky, during a snowstorm in Manhattan on Jan. 4, 2018. 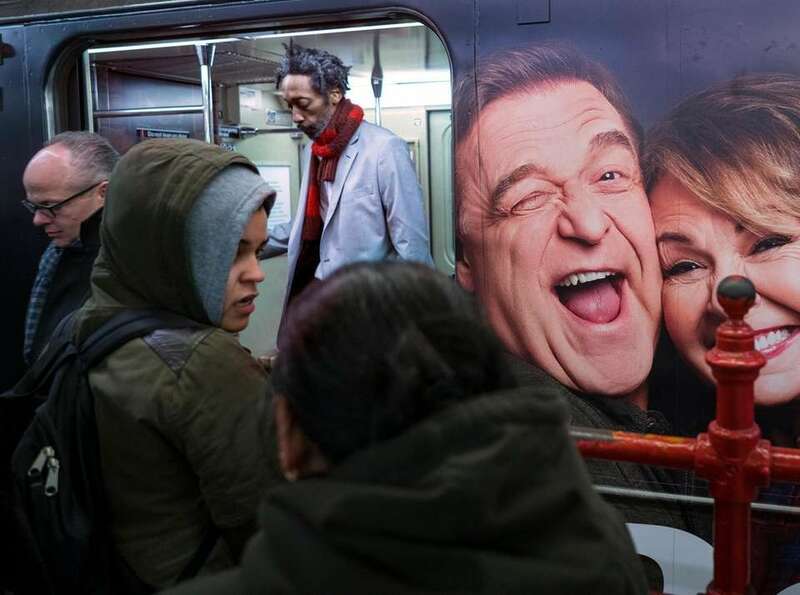 People depart the Shuttle (S) train at Times Square on March 2, 2018, as train cars decorated in the themes and actors from the Roseanne show stand out from the normally plain exterior and interior. 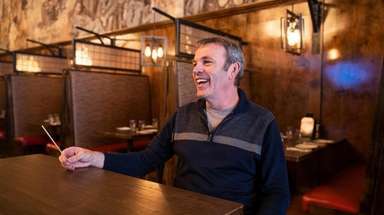 The interior is a depiction of living room that reflects the television show's revival. Some Long Island families are creating sustainable homes on their suburban lots, gardening, raising livestock and pushing back on the lawn culture. They say the goals are self-sufficiency and healthier foods. 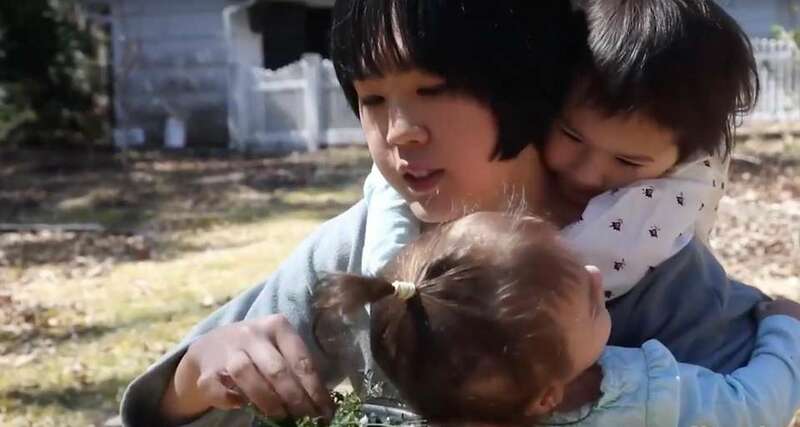 Josephine Fan and her daughters, Sophie, 4, and Martha, 1. 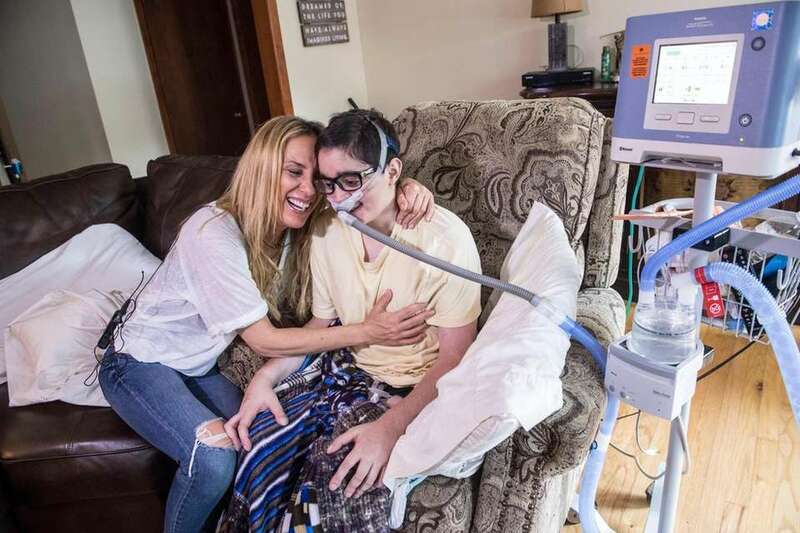 Debbie Vigliotti and her son Nicolas, 20, share a laugh after a coming out of a scare where Nicolas' oxygen levels dropped to dangerous levels. At 18 months-old, Nicolas was diagnosed with "Chromosome 14 Deletion," a rare disorder that affects his lungs, brain and thyroid, leaving him in need of a two lung transplant to survive. 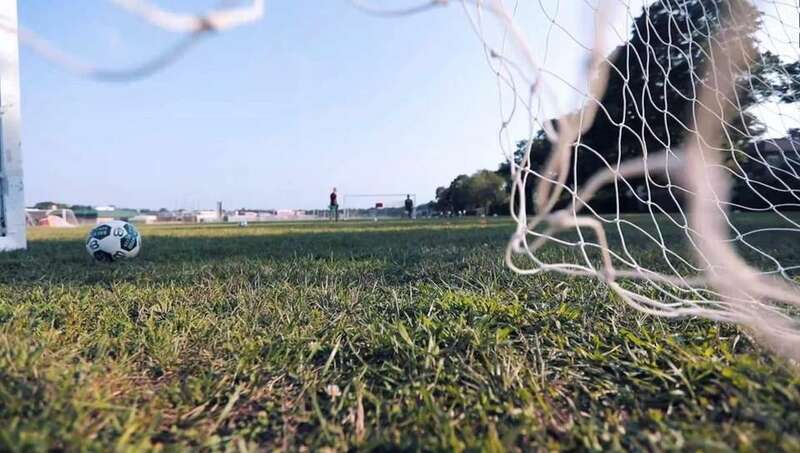 Robert Rodriguez, who has been an amputee since he was 10 months old, uses his disability to connect with others who have recently suffered the loss of a limb. The sun sets in the sky as the Brentwood girls soccer team's season came to close. As Coach Martino Sottile spoke to one of his players, two others crept closer. In their hands, they carried a Gatorade bucket. 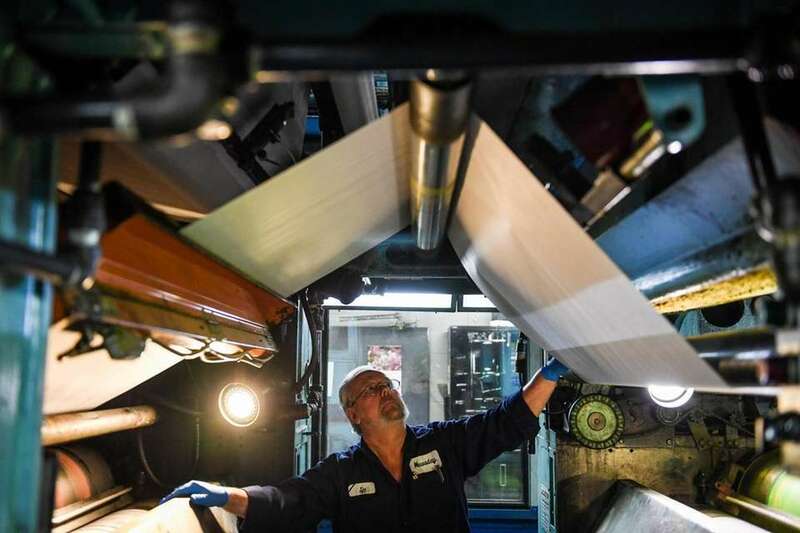 Newsday press operator Jack Casio moves a reel of paper into place inside the pressroom at the Newsday headquarters in Melville on May 24, 2018. 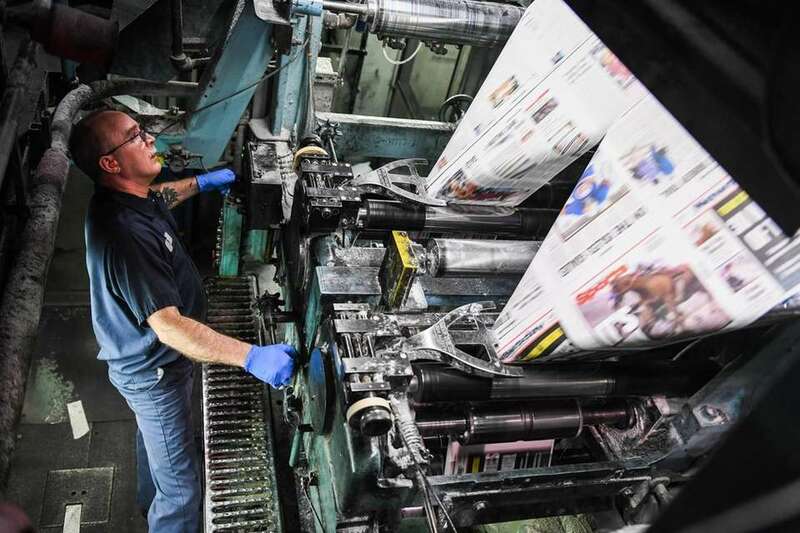 Newsday's last press run at its Melville facility was on June 9, 2018. 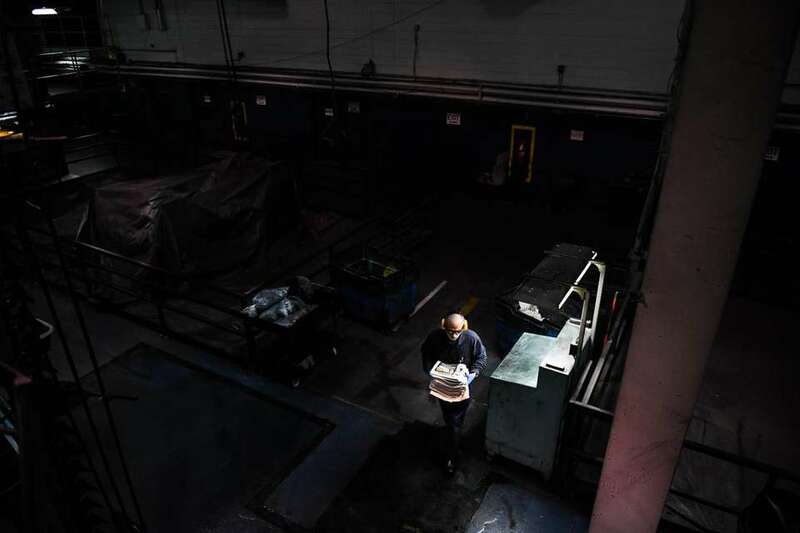 Newsday press operator Jim Worster inspects the Goss offset printing machines before printing while working the night shift inside the press room at the Newsday headquarters in Melville on May 16, 2018. On his final day working press operator, Tim House adjusts the folder set up inside the press room at the Newsday headquarters in Melville on May 19, 2018. 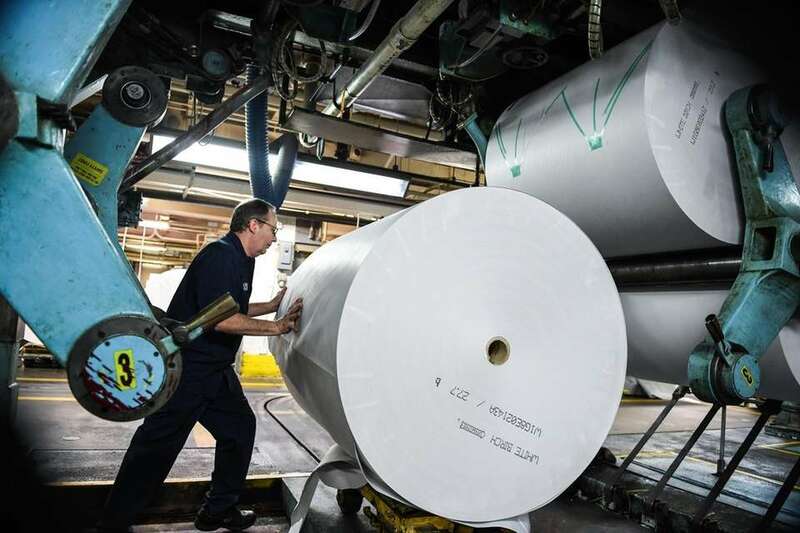 Newsday's last press run at its Melville facility was on June 9, 2018. 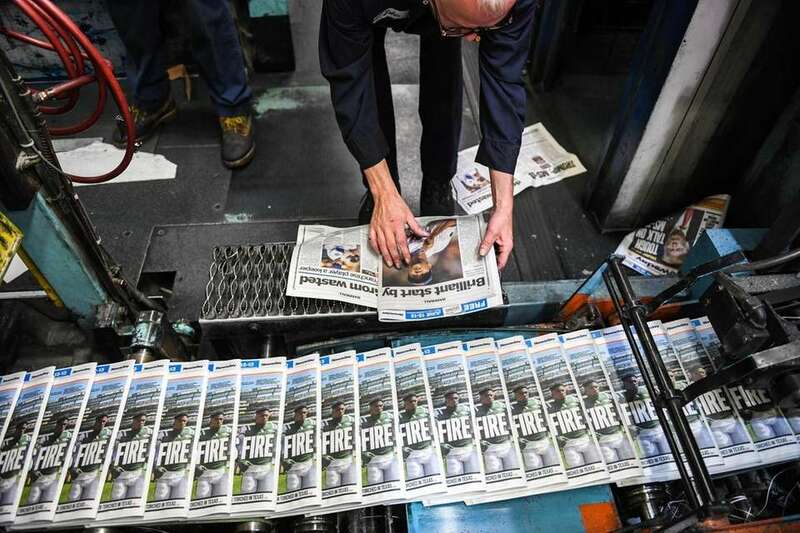 News print runs through the presses inside the press room at the Newsday headquarters in Melville on May 19, 2018. 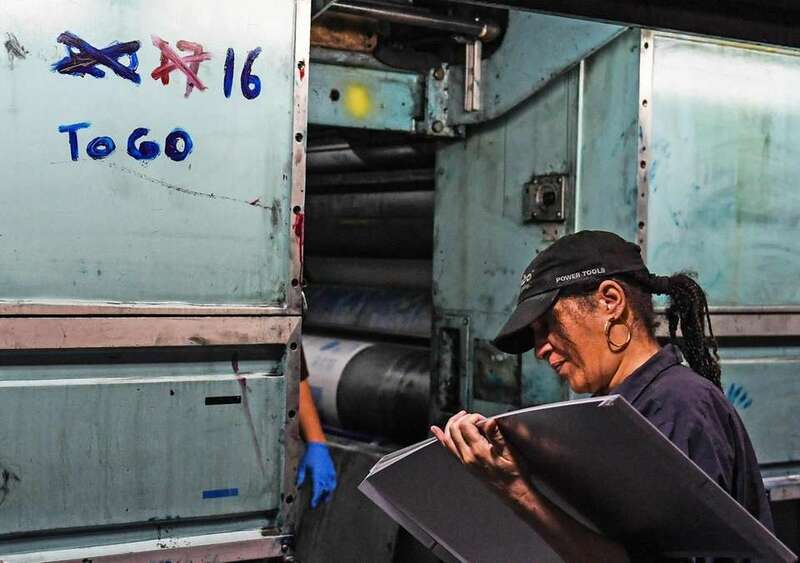 A countdown of days left to go before Newsday closed its presses at its Melville facility are written in ink on a printing press as press helper Deanna Williams reads the prepared printing plates inside the press room at the Newsday headquarters in Melville on May 19, 2018. A press operator checks copy inside the press room at the Newsday headquarters in Melville on May 24, 2018. 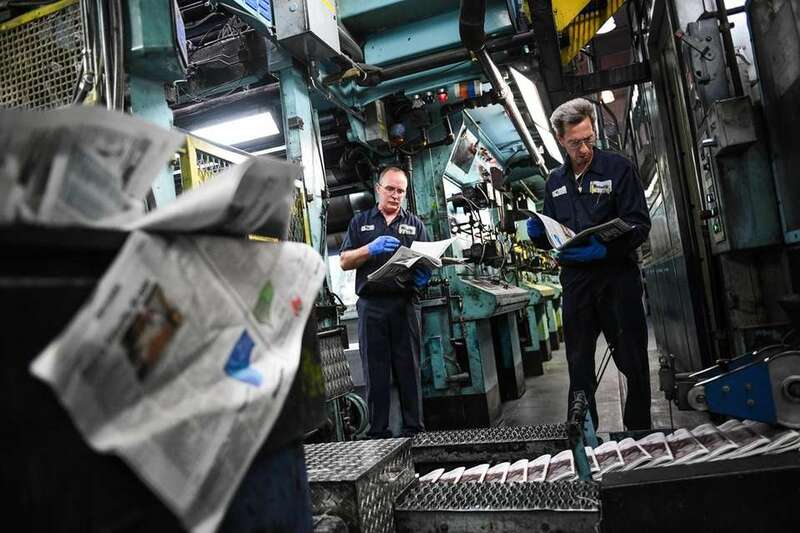 Press operators Tim House, left, and Tom Farrell check copy during a run inside the press room at the Newsday headquarters in Melville on May 19, 2018. 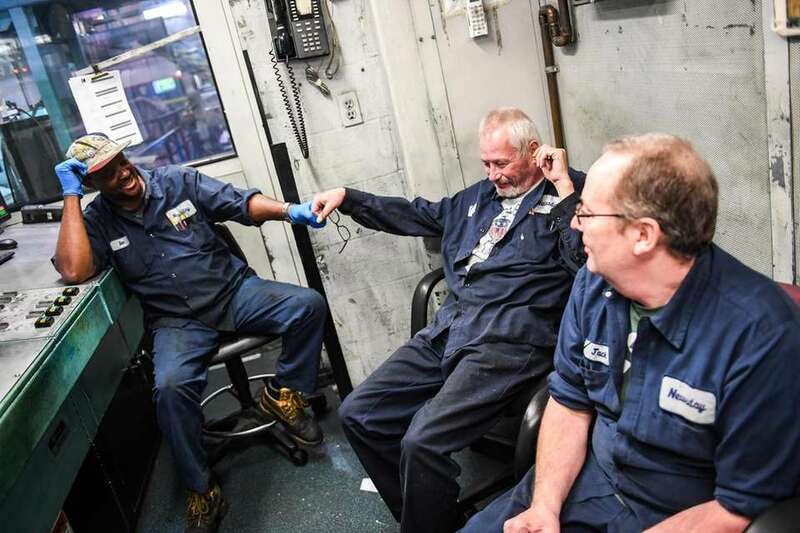 Before firing up the printing presses at Newsday's Melville facility, press operators from left, Sammy Meade, Scott Lawlor and Jack Casio joke around inside the control room inside the press room on May 24, 2018. 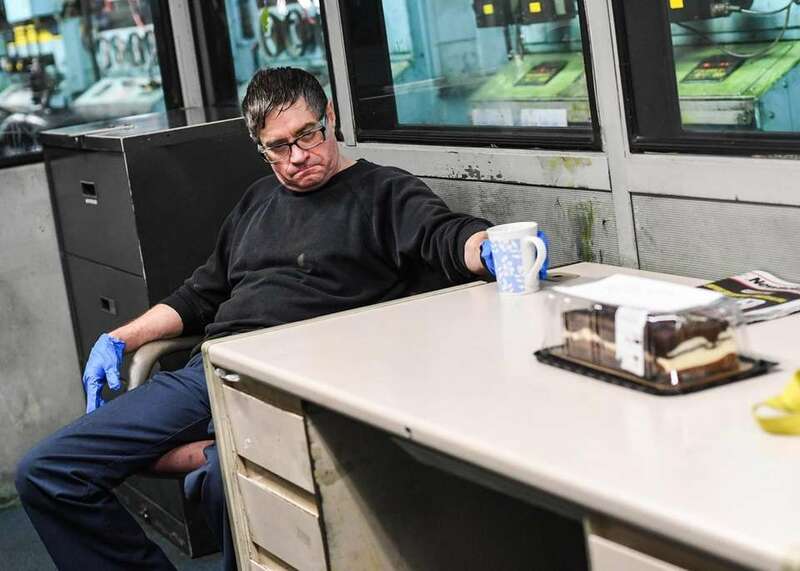 Dan Durkot, a press operator for more than 40 years, sips coffee alongside a farewell cake on his last night working the presses inside the press room at the Newsday headquarters in Melville on, May 18, 2018. 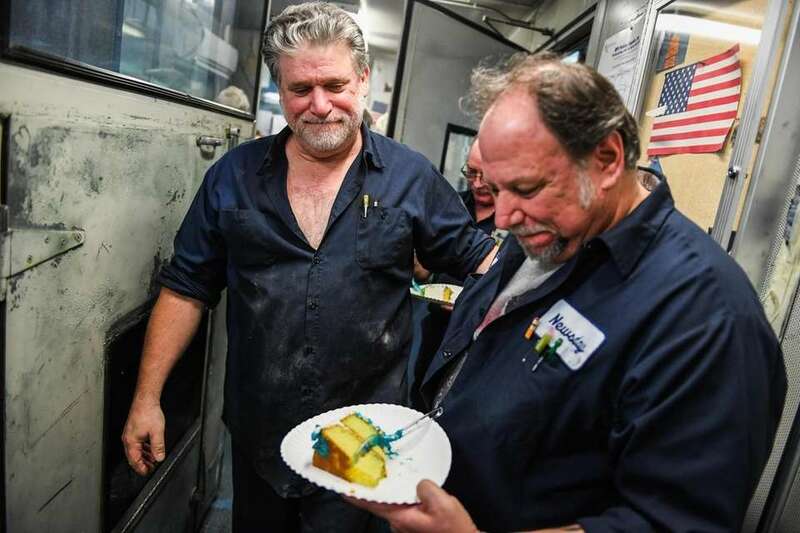 Press operator Bob Cellini, left, says goodbye to Frank Favalore inside the press room at the Newsday headquarters in Melville on May 19, 2018. It was Favalore's last night working the printing presses. 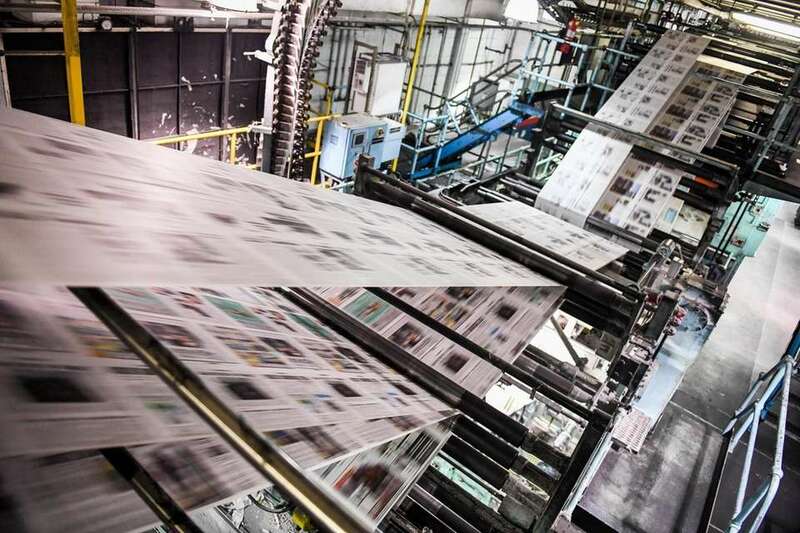 Operations manager Vince Salvia proofs Newsday papers inside the press room at the Newsday headquarters in Melville on May 19, 2018. 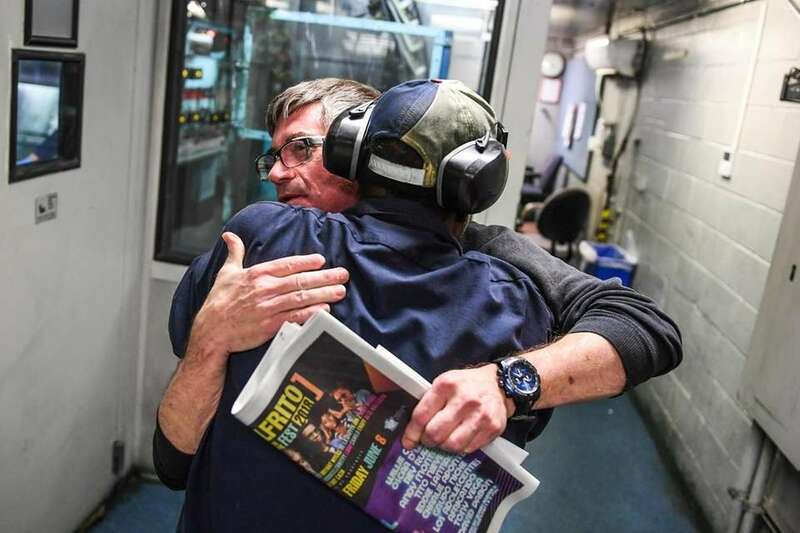 Dan Durkot, facing camera, a press operator for more than 40 years, shares a hug and a handshake with co-worker Sammy Meade on his last night working the presses inside the press room at the Newsday headquarters in Melville on May 18, 2018. Kai Wagner, 27, who identifies as a transgender man, joined the Long Island pod three years ago but has been interested in the mermaid lifestyle for five years. The Lindenhurst resident has gender-specific mermaid personas. As a woman, she is Mermaid Pearl, as a man he is Merman Atlas. “I love the aesthetics of both lady mermaids and male mermaids,” said Wagner, seen swimming at the Long Island Aquarium on July 16, 2018. In the real-life mermaid world, pod members have alternate identities which they call "Mersonas" and speak in mermaid jargon. They choose names such as Mermaid Sammei Mermaid Aria and Mermaid Rose. Assistants are known as mer-tenders or merwranglers, Cellphones become Shellphones, Selfies are Shelfies, and if you are a member of the mermaid collective, you are merfolk. 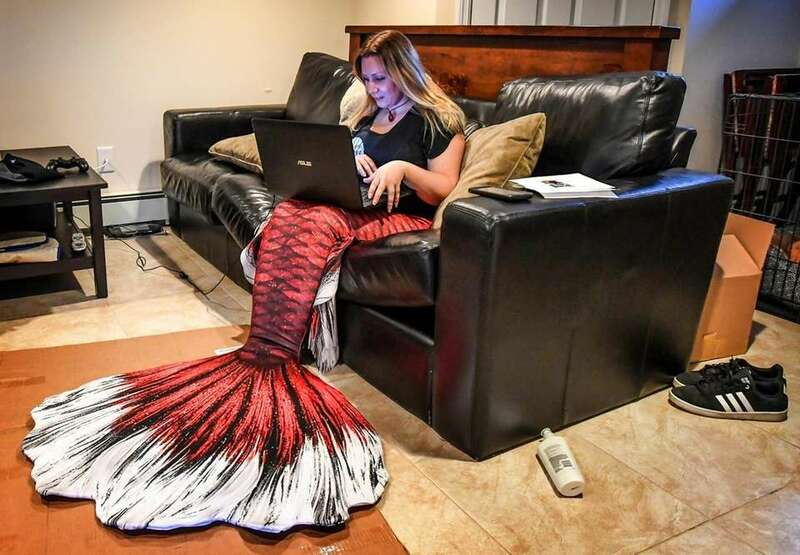 Mary Grecco, 26, who goes by the name Mermaid Rose, said she turned to swimming and video games as early as elementary school to cope with being bullied. The combination, along with her childhood fascination with the movies “Splash” and “The Little Mermaid,” pulled her into a life of mermaiding. 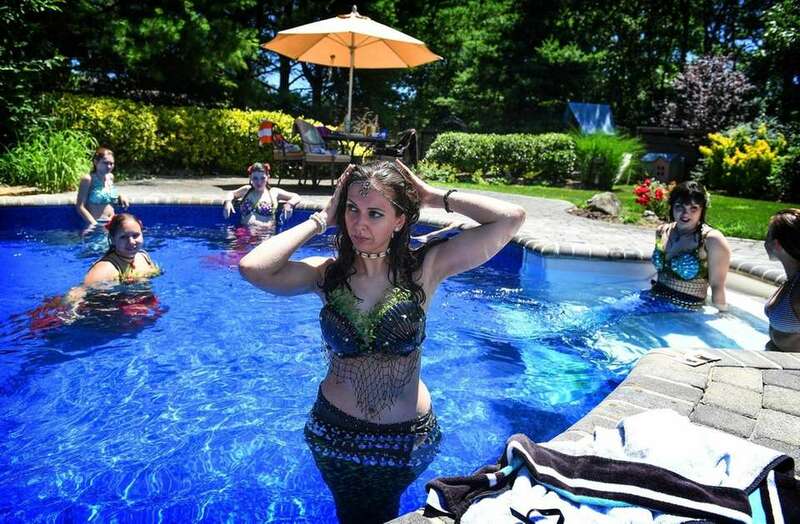 “My demons tried to drown me, but they did not know I could breathe underwater,” said Grecco, seen here on July 8, 2018, and who lives in Centereach and credits the mermaid community for helping her feel better about herself. 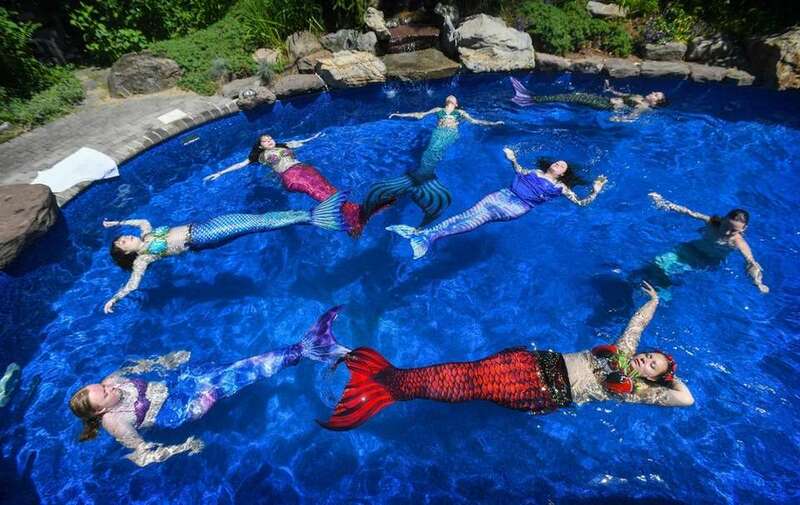 Members of the Long Island Mermaid Pod meet throughout the year for group swims at aquatic facilities, public pools or members’ homes. 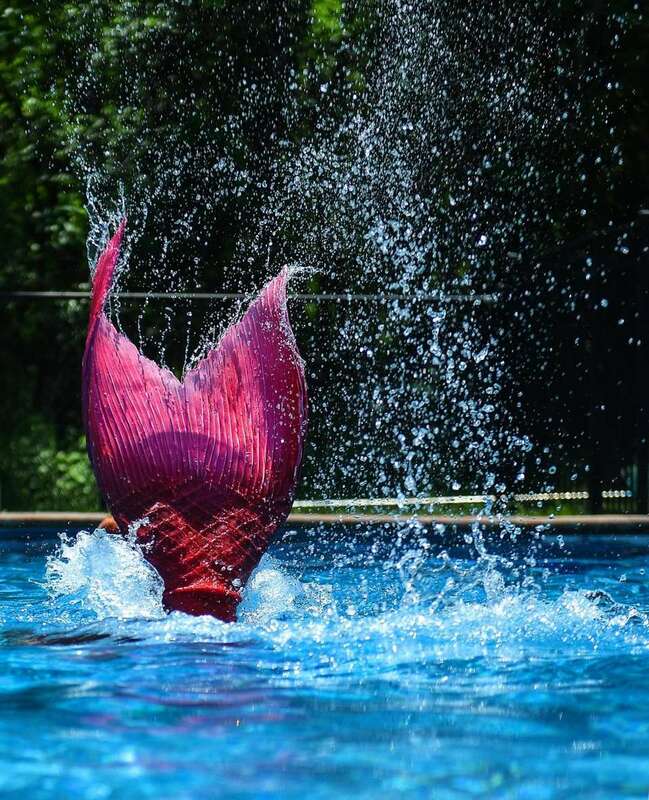 They gather for the camaraderie and to practice technical swimming and theatrical performance stunts, such as front and back flips, barrel rolls and fluke stands — which involve them standing on the tip of their mermaid tail. Pod member Mary Grecco, AKA Mermaid Rose is helped by her boyfriend, Alan Kupidloski, as she prepares for one of the pod's "Meetups" in her apartment on July 8, 2018. In Mer-speak, helpers or assistants are known as Merwranglers or Mertenders. Crafting is a big part of the Mermaiding lifestyle. Many members craft their own headdresses, shell bikini tops and accessories. 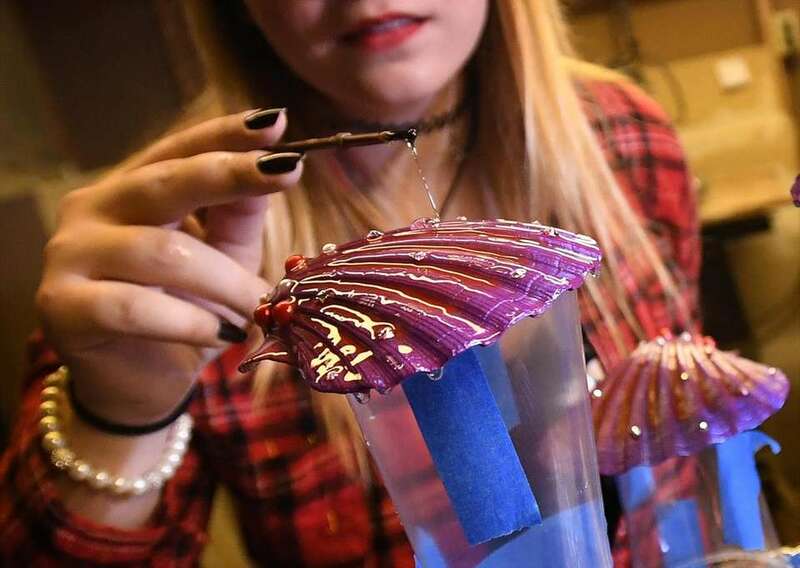 Mary Grecco on April 5, 2018, works in the basement of her Centereach home creating a clamshell top. “As a kid, I’ve always been a pretty good swimmer,” says Nicole Oliva, founder of the Long Island Mermaid Pod. 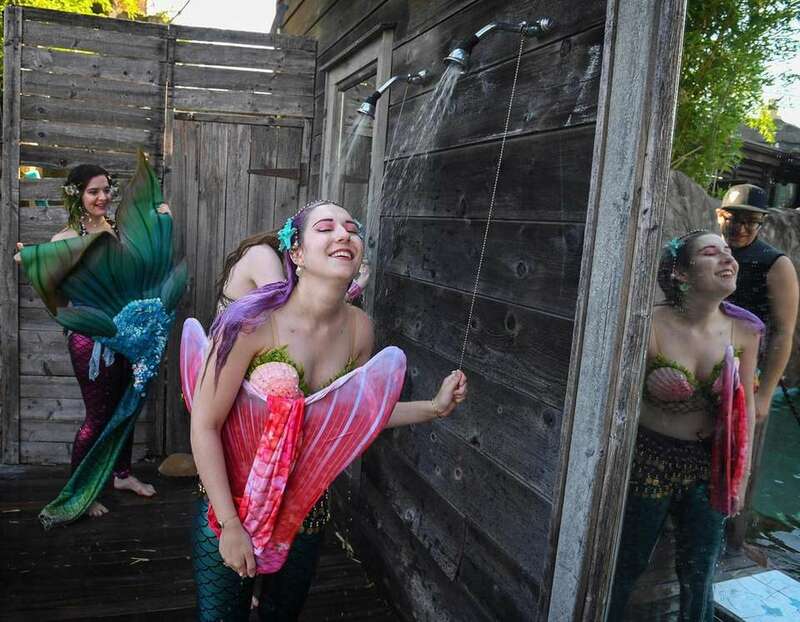 “When I was younger, I would tie those detachable Velcro skirts that come with bathing suits around my legs and practice swimming like a mermaid.” Six years ago, while designing a costume, Oliva, set out to create her own mermaid’s tail. 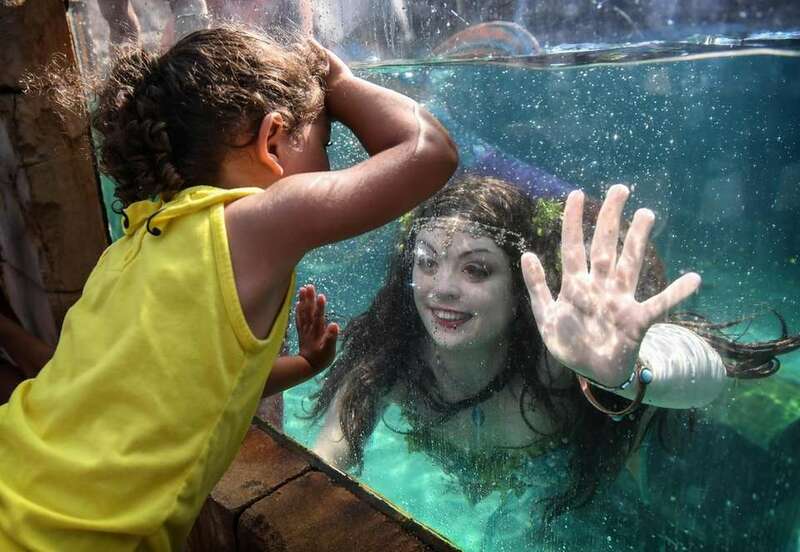 Her research and Google searches revealed an entire community of mermaids, in pods from North Carolina to Singapore and at mermaid festivals that have sprung up in Michigan, Georgia, North Carolina and include the annual Mermaid Parade on Coney Island. 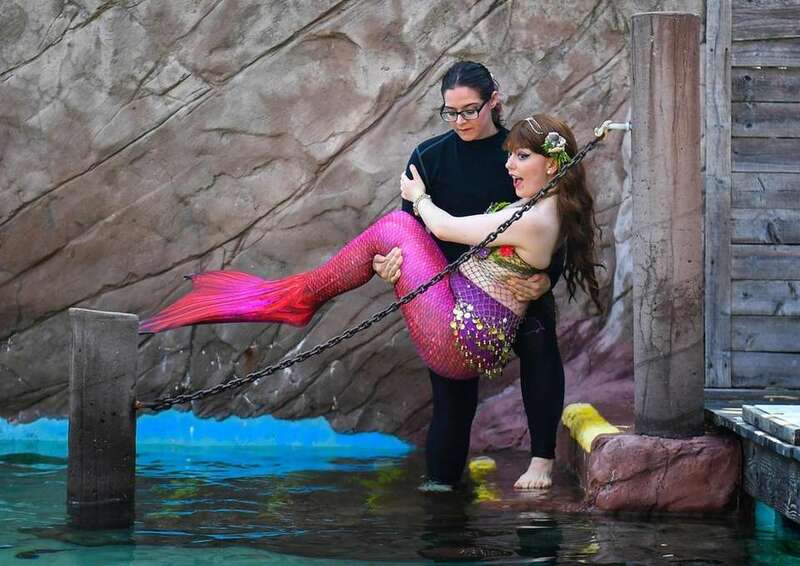 Pod member Kai Wagner AKA Mermaid Pearl carries Mairead Atkinson AKA Mermaid Caylis to the water as they prepare to swim in an exhibit at the Long Island Aquarium as part of their "Mermaid Mondays" program. on July 16, 2018. 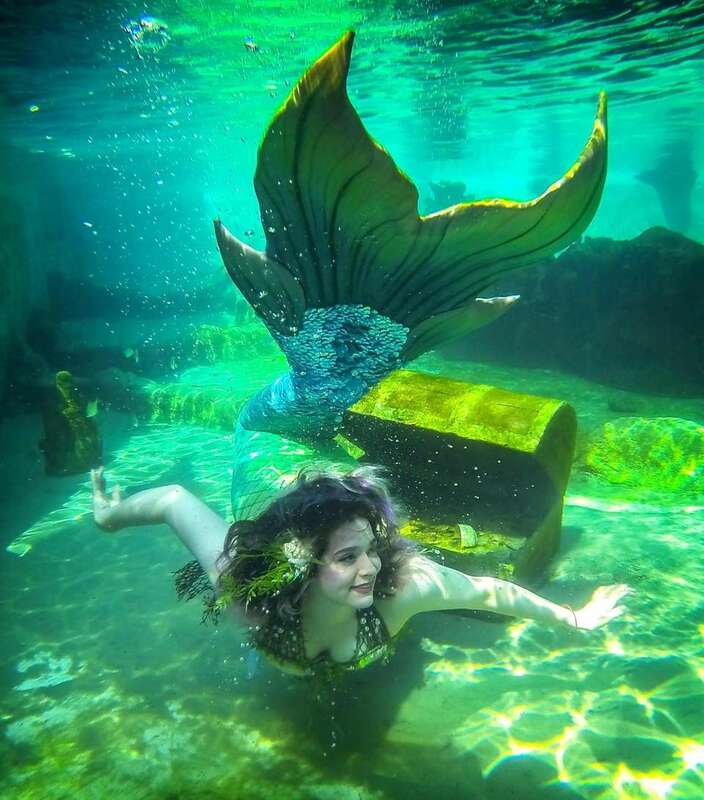 Kai's company employs four mermaids, plus Wagner, to perform in exhibits at the aquarium in Riverhead. 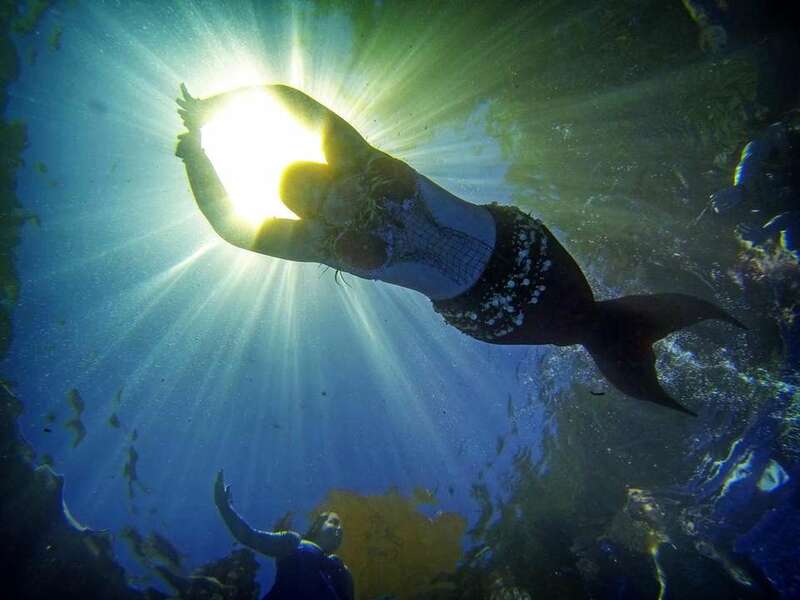 Mermaids need to look good underwater, but they also need to be strong swimmers. A strong core is an important part of performing the signature dolphin kick, the only viable swim movement for mermaids, whose tails impede the movement of their legs. The whipping motion propels them forward while their legs are bound by fabric. All the mermaids in the Long Island pod said it’s important to stretch for three to five minutes before entering the water. Kai Wagner AKA Mermaid Pearl left, and Daniella Tiranno AKA Mermaid Marina shower off at the end of the day after swimming at the Long Island Aquarium as part of the Aquarium's "Mermaid Mondays" program.